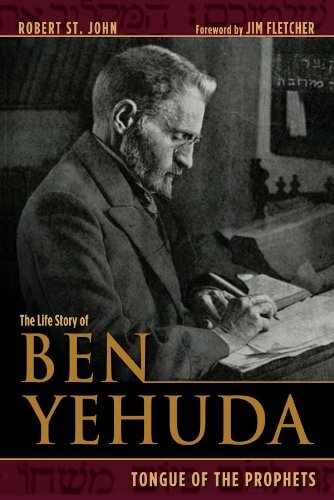 Eliezer Ben Yehuda (1858-1922) was an Orthodox Jew from Belarus who was heavily influenced in his youth by secular Zionism. He immigrated to Palestine in 1881 and worked as a writer, journalist, teacher, and editor. He became convinced that reviving Hebrew from its ancient form into a modern tongue would be essential for building a Jewish homeland in Palestine. 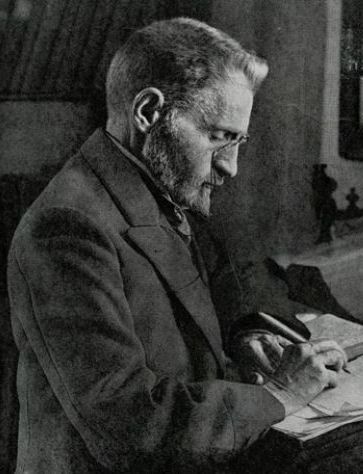 He began the modern Hebrew dictionary and pushed the teaching of Hebrew in Jewish schools. He and his first wife, Devora, raised their first child (and subsequent children) speaking only Hebrew. Although he wasn’t the first person to have this idea, or to speak Hebrew, he was the one who put the concept on the map and ensured that it became a key component of the Zionist movement.